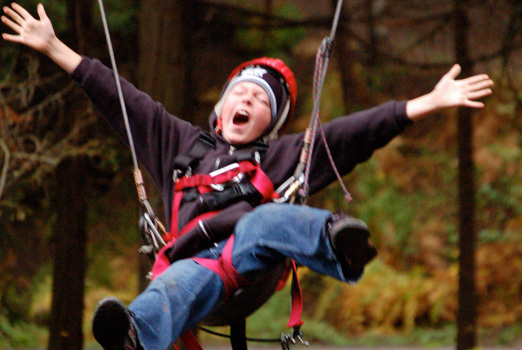 The Extreme Swing is one of Hartland's most exhilarating recreational activities. 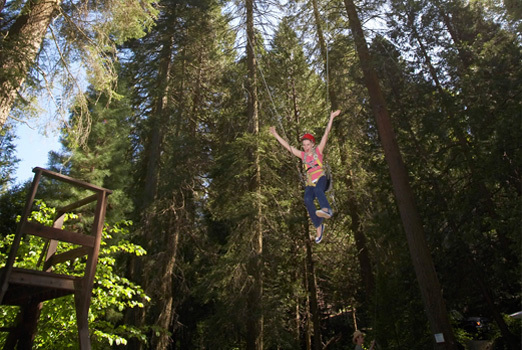 It's a 50-foot high swing that launches you into the treetops and back again. 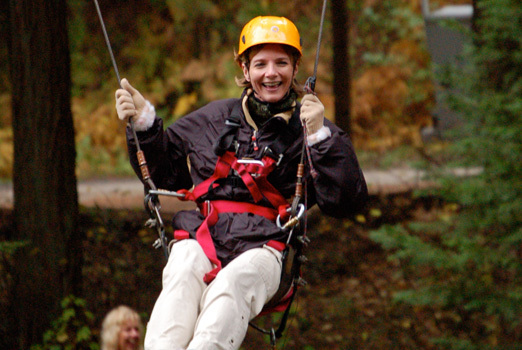 The Extreme Swing is available from April through October (weather permitting). It is available to rental groups as well as those attending Hartland-sponsored camps. There is no extra charge for this activity for those attending Hartland sponsored camps. For rental groups, there is a fee of $30.00 for the first hour and $20.00 for following hours (Approximately 12 people per hour). This activity is operated and supervised by Hartland staff.